Have you found an online vendor selling Bacardi Black? Originally named Bacardi Black, this rum is now called Bacardi Select. The recipe is the same, which consists of a blend of aged rums, charcoal-filtered once before resting for at least 4 years in American White Oak. Got a sore throat and ran out of robatussin? NO PROBLEM. Introducing Bacardi Black! For when regular robatussin won't cut it, Bacardi is there! The worst rum I have ever tasted. The flavor resembled bandaids, like a medicinal/chemical taste. Does not even hold a candle to CM Black. I tried this on a trip to Alaska, and they charged a pretty penny for it, and it was horrible. I couldn't finish it and it was mixed with Coke. Tastes like nail polish. The only positive to it is giving out free shots just to get rid of it. I would never buy it again. I'm not sure why all the bad ratings as I find this rum very drinkable. It's smooth but doesn't have the fine flavors and aromas of higher rated runs in my cabinet. This rum is doable and OK on the rocks and I find it excellent as a mixer. Bad on its own, medicine flavor. Whoever said bandaid nailed it. It's weird. Bad to the point that cola can't even cover it. It still has a weird aftertaste. This is undoubtedly the worst rum, I ever had. Its taste was horrible somewhat like paint thinner. I would never dare to touch this horrible thing ever again. Horrible. Could Bicardi have put just an ounce of effort into this?? The official that authorized this release should be fired. Nothing else to say. Bought it on a whim, as there's a first time for everything. I like dark/black rum, so I thought I'd give it a shot. After all, it has that oh-so famous Bacardi name on it, so how bad could it be? Turns out, this stuff is like the McDonald's of the rum world. Cheap, mass-produced...and talk about over-priced! If they didn't have the name brand on the label, this stuff would be on the bottom shelf at the grocery store, next to Myers's. $32 for this stuff is a joke. Cough syrup tastes better. If you enjoy this rum there is something seriously wrong with your taste buds. I thought it was a joke then I realized the bottle read "Rum" on it. Nice try, Bacardi...but, no. This is a total mess. I've had some offerings in the same price range from Bacardi that weren't bad, such as Oakheart, but this Black is nearly undrinkable even in cola. Even mixed with much more cola than usual I could barely choke it down. It's not the worst rum I've ever had, but easily in the bottom 3. Bought this one because I thought "Black" would be something tasty and old-school-y. Not even close. Virtually no body and surely no nose. 3/10 if I am a bit smashed from it, otherwise 2/10. Just not worth it. Save your penny for something else. na přechod od tuzemáku dobré, ale v porovnání s rumy s vyšší kategorie, zcela nedostatečné. Je ovšem v celku levný a dostupný, nicméně OAKHEART je lepší. 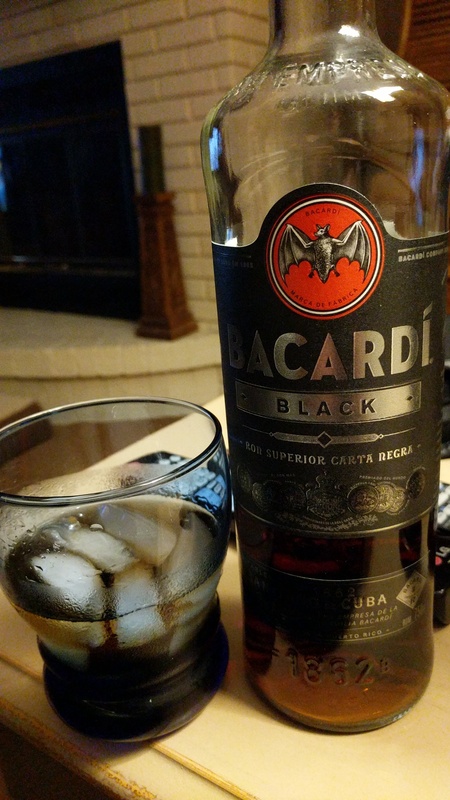 Bacardi BLACK is a discontinued product that was quite a great value and very good for cocktails. The garbage that they now sell as Carta Negra is good only as paint thinner. About 17 different but bad after-tastes. Not sure why Bacardi keeps this on the market. It's just bad. I found this in the Philippines on a business trip once and bought it because it was about $3 in the convenience store. I've been unable to get rid of it since. It's a foul tasting beverage. It's very close to being as bad as Bundaberg. I'm actually curious how they make it this bad. I go to this rum because it has good flavor, no burn, and is not as expensive as other rums similar to it. It's not the top shelf but is way above the bottom! Tasted ok, but too sweet, this is one of the rums that give me a headache. Too sweet when mixed with coke. This is, without any doubt, the worst rum I have ever tasted. It might be the worst alcoholic beverage I've ever had, period. DO NOT waste your money on this swill. If you really want to try it, just melt some cherry cough drops in nail polish remover at home and enjoy. "hint of plum/prune and a little hint of treacle..."